Oils today are in great favour. Debate rages as to which oil to use in our food? We love our food and we seek to prepare our meals to tempt and tantalise. We also now know that certain health conditions preclude some oils and favour others. How should we be using these oils and are we making the optimum choice both for our health and for our taste buds? 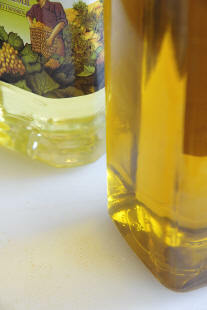 From a whole spectrum of oils, Back Chat will be dealing with Cod-Liver, Salmon, Avocado, Grape Seed and Sesame oil. Here is the low-down on five of the best. In Part 1 read about Cod Liver Oil and Salmon oil. Please contact Back Chat if you have any questions. You can leave a comment on the blog or email me at les@leslieback.co.za . I look forward to helping you solve your problems. Don't let this list faze you, just refer to it if you need to. OMEGA 3 - A fat essential to good health, found in Fish oil and a few other foods such as Flax seed (Linseed) and walnuts. The two active ingredients in Omega 3 Fish oil are - E.P.A. & D.H.A. These acids are vital nutrients that are important at different stages of our lives. D.H.A. is thought to constitute ‘building blocks’ of the brain, forming 8% of the brain by weight. D.H.A. is also added to some infant milk formulas. An infant requires a lot of D.H.A. in the first 2 years of life to support the growth of the brain. It may also reduce the risk of the baby developing Type 1 Diabetes. Controlled tests have shown E.P.A. can help in the treatment of depression and schizophrenia. These are the major fats that circulate in the arterial system. Cholesterol is the yellowish substance in your arteries that narrows the blood vessels. There is Good cholesterol and Bad Cholesterol. L.D.L. is responsible for clogging your blood vessels. H.D.L. helps to send the L.D.L. to the liver where L.D.L. is destroyed. Both Cholesterol and Triglycerides will respond to the same treatment that lowers elevated levels. TRANS FATTY ACIDS - A fatty acid molecule connected to hydrogen. People eat this in the form of meat and dairy products. They are found mostly in butter, cheese and fatty meat. Some vegetable oils (coconut and palm) also contain saturated fat. Saturated fats do have health benefits and play many important roles in the body. Moderation is the key. MONOUNSATURATED FATTY ACIDS are liquid at room temperature. They seem to lower bad cholesterol when substituted for saturated fat. TRANS FATTY ACIDS are considered harmful, as some researchers believe that they raise L.D.L. and lower good cholesterol H.D.L. They are found in fried and processed foods. Little exposure to sunlight? Cod liver oil is an ideal supplement! ‘A spoonful of sugar makes the medicine go down,’ warbled Mary Poppins, everyone’s favourite nanny in the movie of the same name. Many will remember the awful taste of cod liver oil from decades ago. It was rancid and tasted terrible because it was not properly processed. 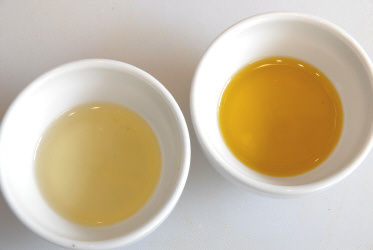 Now this marvellous golden oil is pleasantly flavoured and properly processed. Cod liver oil is one of the most effective providers of Omega 3 fatty acids. E.P.A., D.H.A. (see glossary of terms) and an excellent source of vitamin A and vitamin D. This fabulous combination of acids and vitamins is essential for fighting physical and mental illness. Omega 3 helps prevent and fight heart disease, cancer, depression, arthritis, Alzheimer’s disease, ulcers, diabetes, hyperactivity and other diseases. Omega 3 increases your ability to concentrate as well as your energy level. In the section on Linseed (Flax seed) Oil, I will discuss their merits as a good source of Omega 3. The difference between cod liver oil and fish oil liquid is that cod liver oil contains the natural vitamins A and D and can be considered a fish oil plus. Cod liver oil is most famous for contributing to bone health, preventing and reversing rickets in children and osteoporosis in adults. It used to be given religiously to children everyday as a source of vitamins A and D. It was given to children in Britain during World War 2. Sunshine produces high and usually sufficient levels of vitamin D. It is therefore not necessary to take a cod liver oil supplement in the summer. 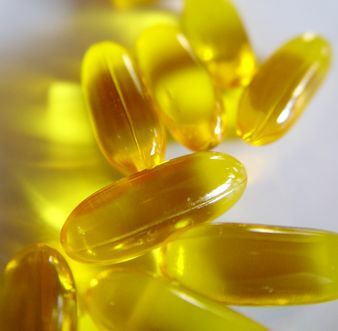 However, in countries with long dark winters and consequently little exposure to sunlight, cod liver oil is an ideal supplement because of its good vitamin D properties. Vitamin A has been part of every alternative cancer therapy so far. 1) It should be remembered that unfortunately fish of all varieties, from any waters, naturally caught or farm raised are showing high levels of the highly toxic, tasteless metal, Mercury. Mercury is water-soluble, so is present in the flesh of fish not in the oil. Cod liver oil is therefore a good replacement. 2) Whilst it has been demonstrated that there are many benefits for pregnant women from cod liver oil consumption, including reducing high blood pressure, easing post natal depression and helping to avoid premature birth, it is not advisable for women who are pregnant or breastfeeding to take any supplement without first consulting their doctors. Cod Liver Oil is made by cooking cod livers with steam and then pressing/decanting the cooked livers to extract the oil. In what form can one take cod liver oil? Can you cook with cod liver oil? Cod liver oil is not used for cooking. It can be taken orally by spoon or by taking a cod liver oil supplement in the form of a capsule. It can also be used topically to soothe irritated skin and nappy rash. What do I need to know about buying and storage of cod liver oil? Cod liver oil should not be bought in large economy sizes, but in small preferably dark bottles. It should be kept in a cool place. It need not be refrigerated after opening if it used up quickly. REMEMBER: There is hardly a disease in the book that does not respond to treatment that includes Cod Liver Oil. Salmon oil contains Omega 3 fatty acids – an excellent source to boost up HDL in your blood. The Omega 3 fatty acids in salmon oil are a type of polyunsaturated fatty acids, which can only be supplied by food sources. Cardiovascular disease, Hypertension, Arthritis and Asthma. Fish oils may offer protection against some forms of cancer. Brain development and memory function is improved from conception to old age. When taking salmon and salmon oil… MODERATION IS THE KEY. Include salmon (or fish with high omega 3 content such as sardines and tuna) to meals occasionally. Salmon oil is taken in capsule form. N.B. Check with your doctor before consuming these capsules, as a single capsule maybe more concentrated in Omega 3 fatty acids than 1 serving of salmon. ** CAUTION ALERT ** DO NOT TAKE SALMON OIL SUPPLEMENTS IF YOU ARE TAKING A BLOOD THINNER DRUG AS SALMON OIL SUPPLEMENTS MAY FURTHER THIN YOUR BLOOD. Fish oil supplements such as salmon oil are given to certain groups of patients with heart disease such as those needing to lower TRIGLYCERIDES & BAD CHOLESTEROL. Salmon oil capsules are taken by mouth and must be taken as directed. Omega 3 is perfectly safe for children. Pets can also be treated to certain Omega 3 fatty acids in salmon oil. A veterinarian will advise you about what your pet needs. Side effects: It should be mentioned that certain side effects might occur when taking salmon oil. They are: A fishy taste, stomach gas (belching), nausea and diarrhoea. Used sensibly and carefully, Salmon oil is a miracle food helping our bodies and minds to adjust to the rigours of life and health in the 21st century. Click here to view 2nd and final part of 'A Symphony of Oils'.